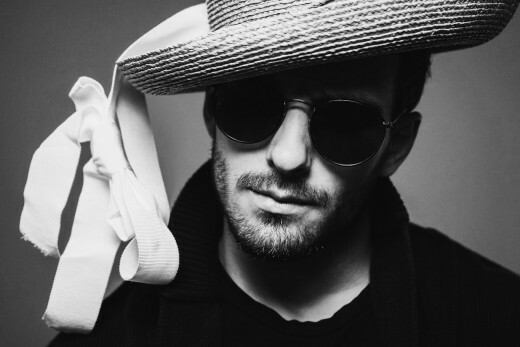 Glasses and sunglasses with wooden frames are lighting up the fashion world, appearing on sites from GQ's "Stuff We Like" to the DailyWant.com. Their sleek lines, natural textures, and durability make them both stylish and practical. 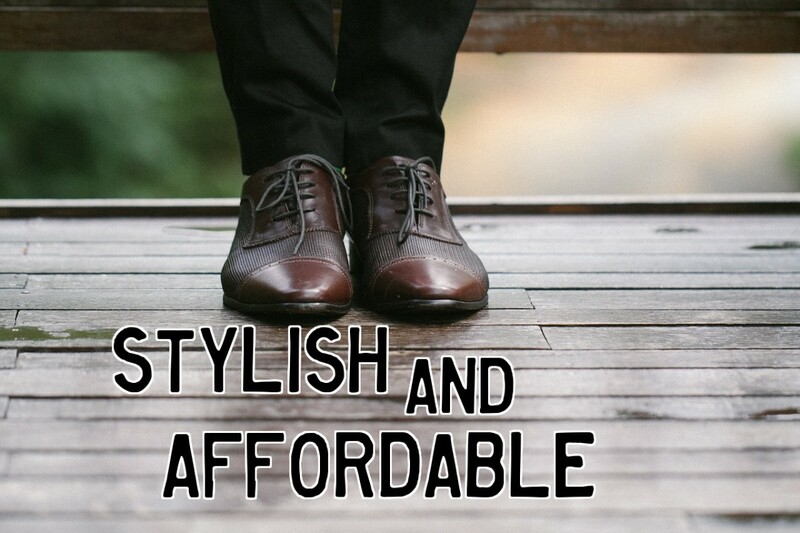 The best part is that for those of us with more fashion sense than money, there are many quality pairs that are also affordable. 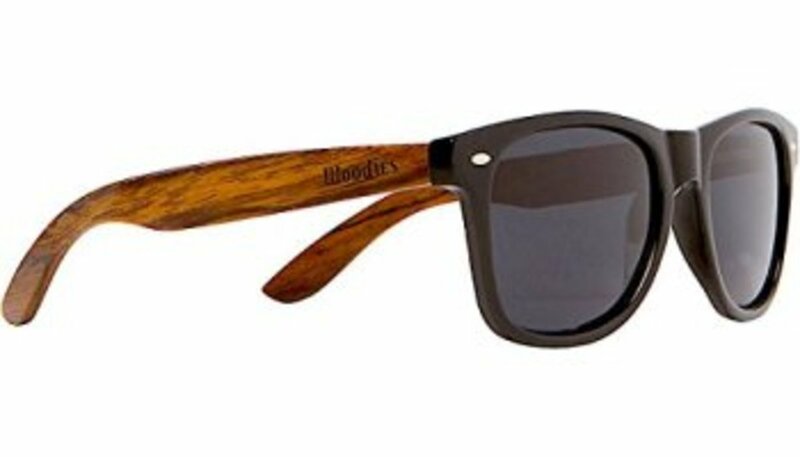 This authoritative guide features the top 5 pairs of wood-frame sunglasses, based on style, materials, and affordability. If you're ready for your first pair, or if you're already a convert and need another, this guide is a smart place to start. This is the only "hybrid" pair on this list -- the arms, or sidebars, are made from polished walnut, while the face is black plastic. For purists, this will seems like a fashion no-no, but I like this pair of WOODIES for the way these two materials work together -- the shine of the black face compliments the deep lustre of the walnut wood. I'm also generally partial to dark woods like oak and walnut, so obviously this is a matter of individual taste. Structurally, this is a solid pair of sunglasses, with stainless-steel, double-spring hinges and extra-dark, polarized lenses. This pair gets great reviews for being well-made and attracting compliments from strangers. If you, like me, appreciate the hybrid look of black plastic and walnut grain, this is your pair. Gift box and microfiber cleaning cloth. Premium UV400 polarized lenses for superior clarity, color and protection. For people who are particular about organic products, this pair of wood-frames is just about perfect: eco-friendly materials set this pair apart from the others. Lightweight, polished sandalwood gives this pair a classic look and comfort. That's good, because in my experience, one drawback of wood sunglasses is the weight of the material. Pairs like this one and the one above -- made out of bamboo -- take care of that issue. I'm also a big fan of the classic wayfarer silhouette. 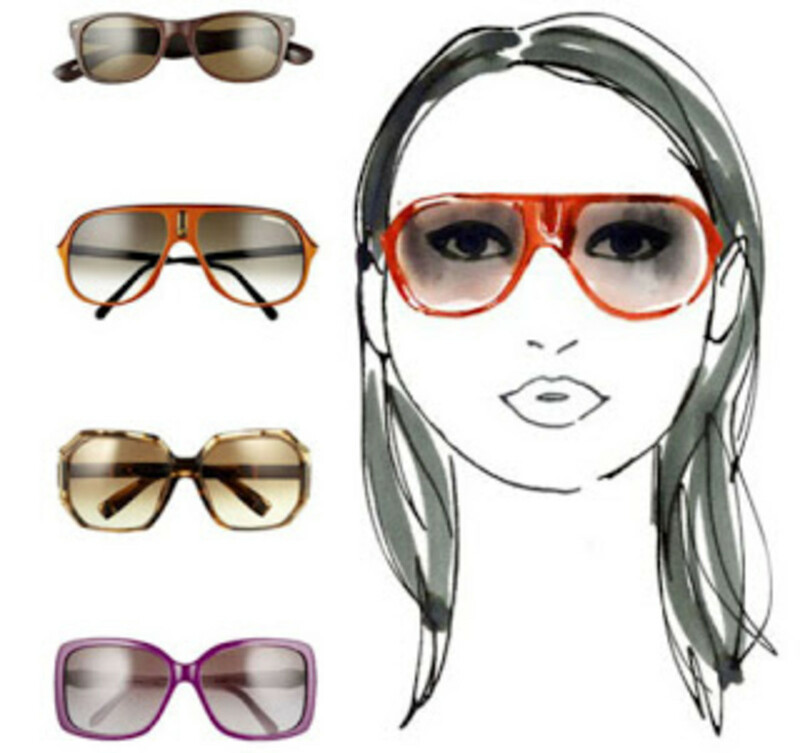 More modern frames do have their appeal, but it really is hard to beat a cool, sleek pair of wayfarers. User feedback is uniformly good. 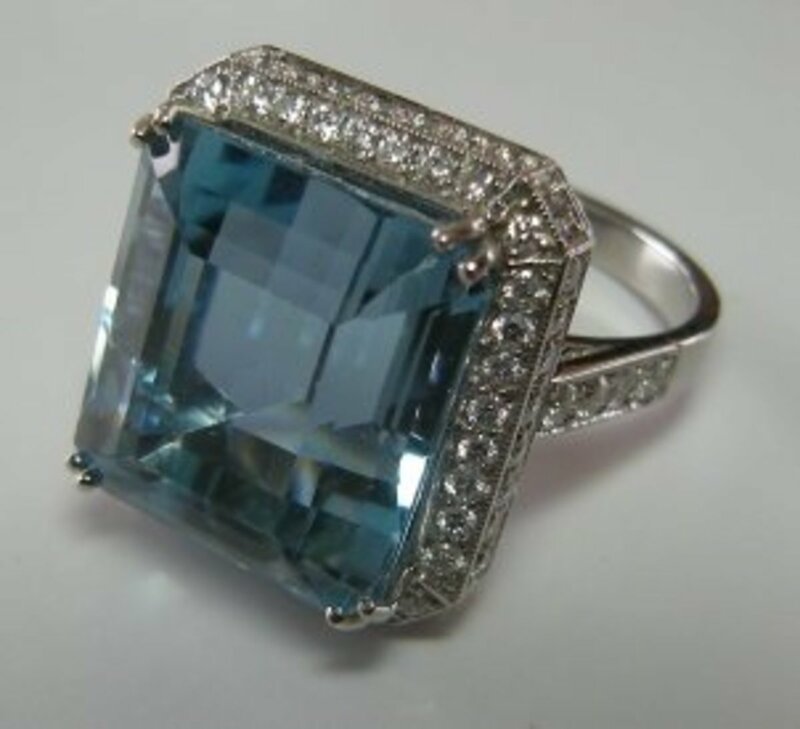 The manufacturer gets high points for customer service, and a high percentage of customers rate them as excellent. On the downside, there have been reports that these glasses are not as durable as some other pairs, and have snapped on occasion. Whether that occasion was regular use or someone sitting on them is not mentioned. Cool shades are a sweet accessory, but sunglasses are one of the few style add-ons that also have a direct effect on your health. Because your eyes dilate when it's dark -- that is, the pupils open wider to let in more light so you can see -- wearing shades when it's sunny causes your eyes to open wider than they normally would. If that open-pupil dilation isn't off-set by UV protection, your eyes could be damaged by a high does of the sun's rays. 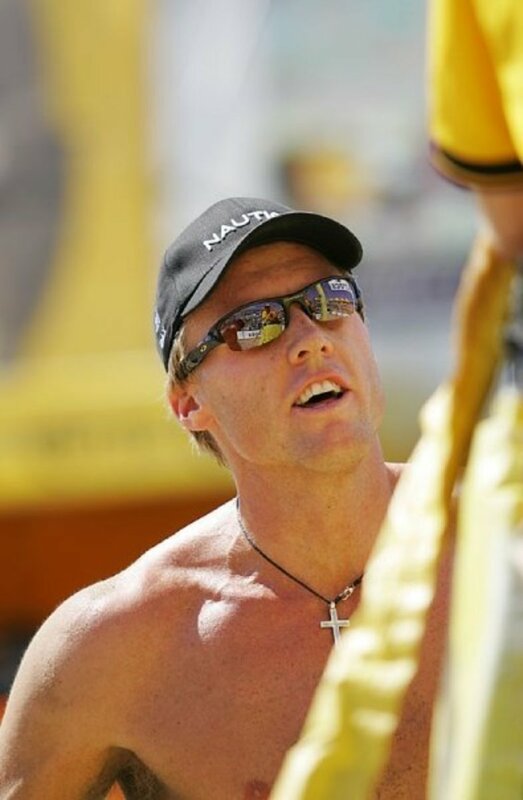 The most important thing to look for in eye protection is the UV level. The best eye protection comes from sunglasses that offer 100% UV, or UV 400 protection. What this means is that you're protecting your eyes from both UV and UVB radiation. If your sunglasses have this guarantee, then you know that you have the best protection you can get. 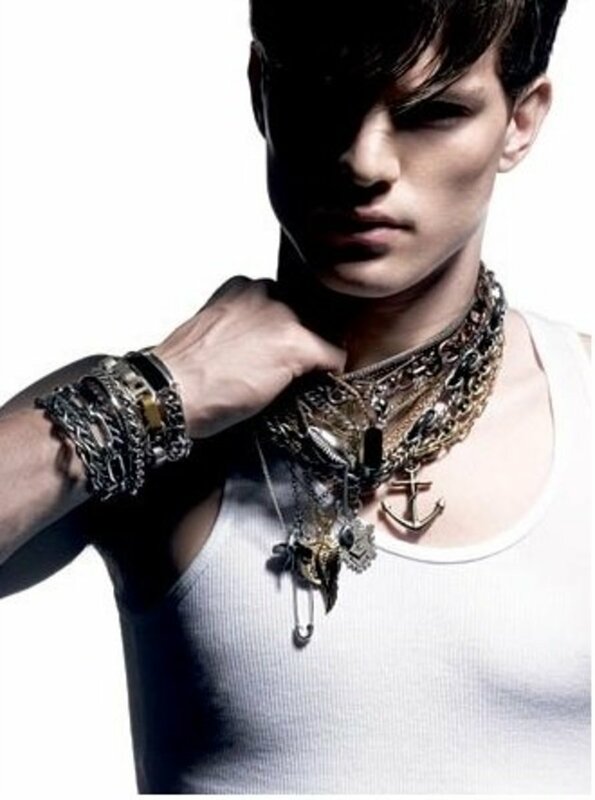 Fashion somehow, for me, is purely and happily irrational. 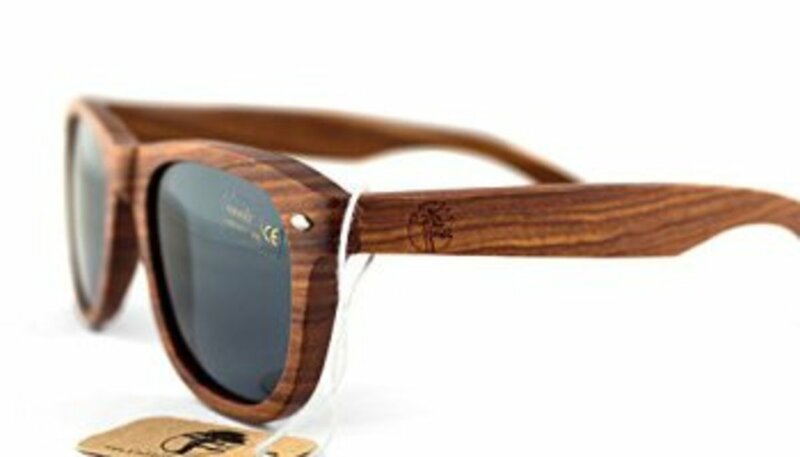 Some people actually make their own wood-frame sunglasses! There are several reasons why I count these frames among my favorites. I'm outdoors a lot, and when I travel it's almost always in the direction of a beach. When the waves knock off my glasses -- and they always do eventually -- I know that they won't sink to the bottom of the sea. 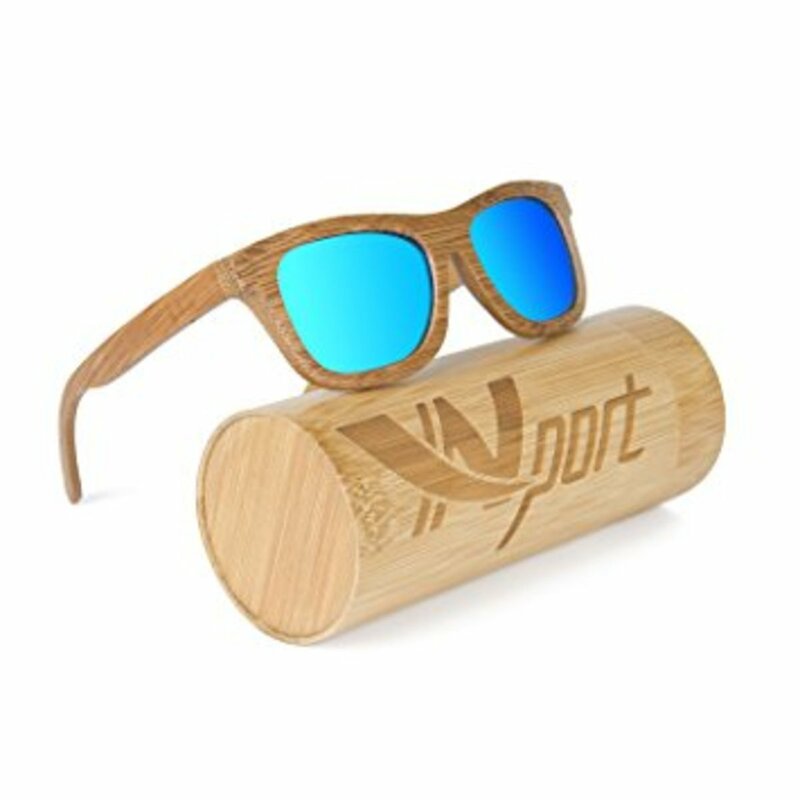 Anyone who has ever tried to hunt down a pair of sunglasses lost in the surf, while the surf is crashing around you, will appreciate having an unsinkable pair of styling wood frames. 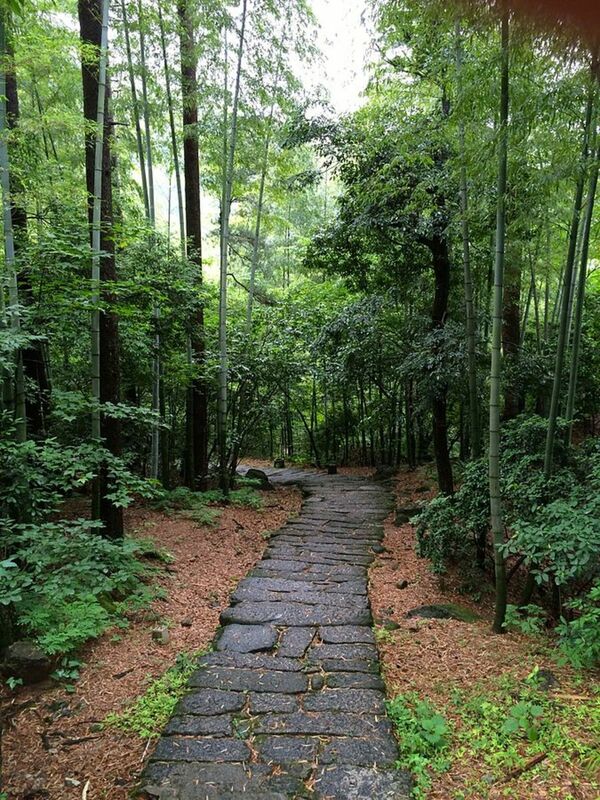 Bamboo isn't technically a tree, or even wood -- it's a gigantic species of grass. For this reason, bamboo grows incredibly fast and uses relatively little in the way of resources. 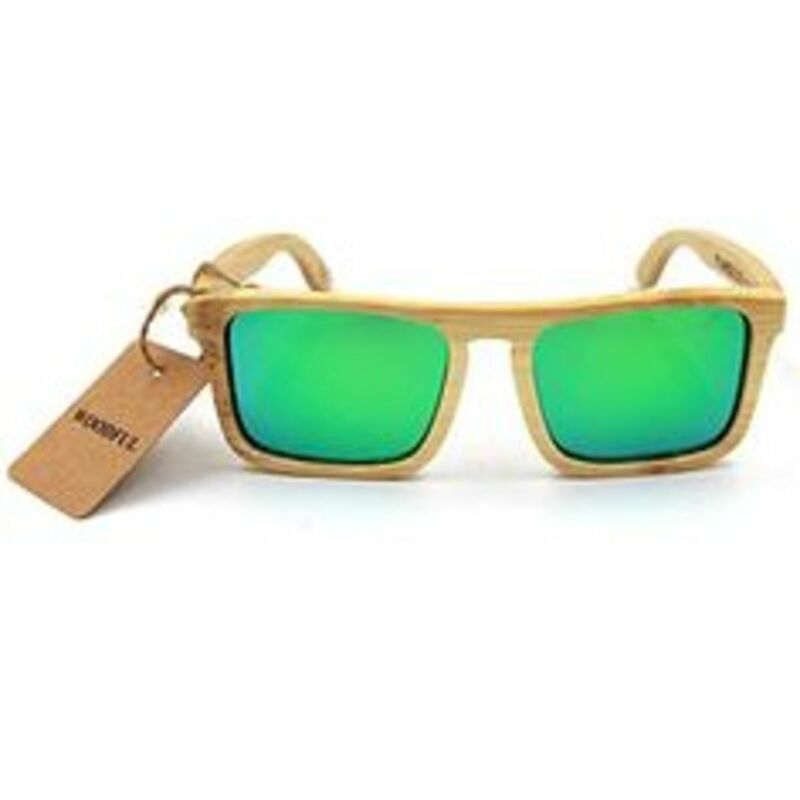 Harvesting bamboo makes sense for the people who live in tropical regions, and these sunglasses are just another way for them to responsibly use the natural world to put some food on the table. User reviews are very high, although the reason this pair is at number 3 and not number 1 is an occasional complaint with initial product quality. Although the vast majority of users are happy with this pair right out of the box, a few have found loose or otherwise suspect workmanship on occasion. Bamboo is a kind of giant grass (family Poaceae) that grows throughout warm regions, from Central America to Asia. The plant grows amazingly fast -- almost two inches an hour during ideal conditions. That means that farmers can produce a lot of bamboo in a relatively short time, making it an ideal renewable resource. Bamboo also uses relatively little water and needs minimal attention. Bamboo has been used as a building and construction material for hundreds if not thousands of years, and it has higher compressive strength than wood, brick, or concrete and tensile strength that rivals steel. Pretty amazing, when you consider that it's also delicious in salads! Bamboo glasses frames are just another use for this remarkable plant. Genuine natural bamboo; no plastic components. These sharp-looking sunglasses have frames made from bamboo, which I like mostly because this means they float. Since I spend as much time as possible at the beach, if not in the waves, not having to worry about diving for lost glasses is a practical issue. I also appreciate the way bamboo grain "pops" when it's finished the way these are. Overall, these score high points for style. This pair is striking in appearance and has a unique vibe, but there are enough negative reviews to place them at number 5 on this list. Users like the handsome bamboo case (with bag and cleaning lens), and the unique style, but there were issues with wearability. So while some reviewers report getting compliments from strangers, others knock these sunglasses for the way they "mess with your depth perception." And although at least one reviewer liked the way the intense polarization and green lenses added rainbows to everything they saw, others found the experience disorienting. 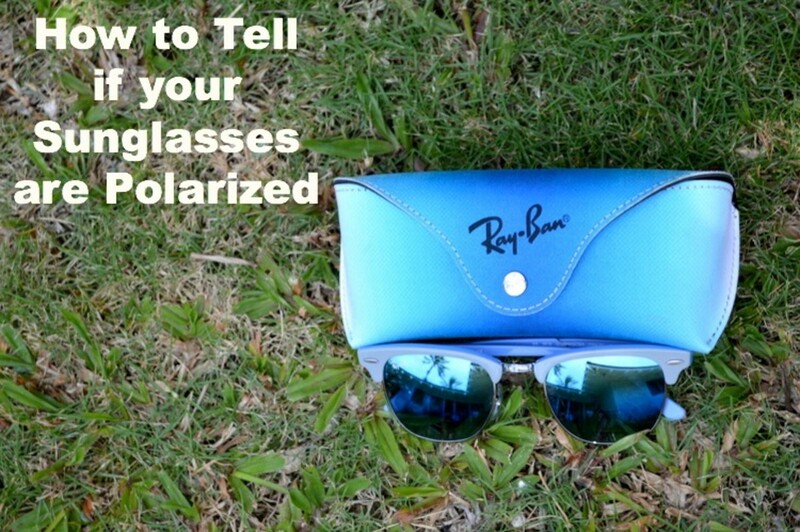 This is clearly a pair that adds new meaning to the term "polarized." This is an exceptionally well-made pair of wood frames with superlative marks from reviewers. As I have said, bamboo is an ideal material for wood frames due to its buoyancy and bright grain. The frames in this pair are both tough and amazingly lightweight -- less than an ounce -- and bamboo is an ecologically sound source for wood. 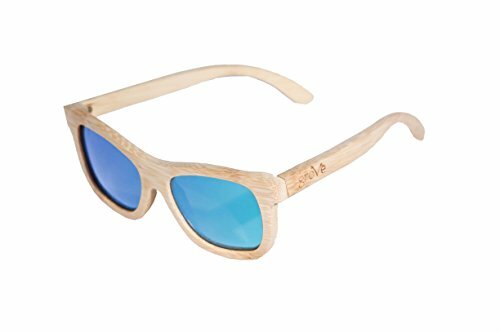 The lenses of the Grove bamboo sunglasses boast what the manufacturer calls 7-layer lens technology, described as "anti glare, scratch resistant, polarized, high definition UV 400 HD reflective lenses... The best quality lens on the market." The hinges contain a nickel-plated metal spring hinge, which is a step up from standard "cheap sunglasses" and adapts to different face widths. Nota bene -- one reviewer did note that these glasses run a little small, so those of us with larger noggins might want to approach with caution. The following sources have been consulted for details and ratings in this guide.